Previously, Nicole served as the Deputy Director of Economic Development for the City of Brewer for over half a decade. In her role, Gogan formulated and implemented marketing and business attraction strategies in cooperation with other economic development interests within the community to promote the City of Brewer. 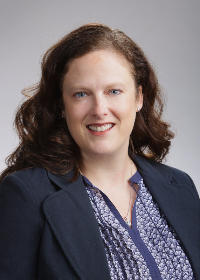 Nicole began her career in retail banking at Bath Savings Institution as a teller and worked her way up to Training Center Supervisor prior to serving as adjunct faculty at the Maine Business School, University of Maine and Husson University College of Business.